AJAX NEWS PHOTOS - 1986 - GAGE ROADS, WESTERN AUSTRALIA - AMERICA'S CUP CHALLENGER ROUNDS - WHITE CRUSADER - GREAT BRITAIN - IN HEAVY WEATHER. To buy prints and see more stunning rights protected photo images of our maritime world, art, travel, street, life and special photography collections. The products and companies named in this website content are trademarks , registered trademarks or servicemarks of their respective owners or licensed users. 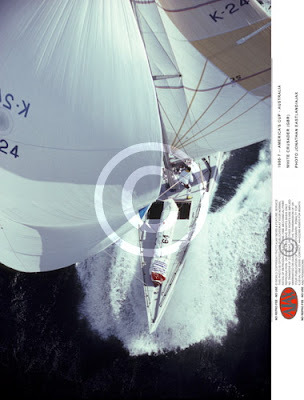 Image library with specialist maritime, yachting,travel,transport and historic photo collections.